They just bricked up the hearth and left. Of course, since this is television, “unsuccessful” isn’t sad. It’s funny. The woman had the patience of a saint… and sometimes, the wisdom of one, too. By the time ABC realized they had something of a hit of their own, they’d already let the cast and crew go on to other projects. It’s amazing what we owe to the past, and where it came from. We might even owe this one to Santa Claus, in a roundabout way. See what I mean, this week on Friday @ 8/7 Central. Some may have noticed there wasn’t a promo up this week. That was deliberate. The fact is, while I love doing these articles, they’ve taken a bit more time out of my life than I have to give, at least these days. Journey with me, and let me tell you why…. Back when I launched this site, in very late March of 2000, I was at a crossroads. Health issues threatened to change my life in significant ways, and things I had previously done were no longer an option for me. Not only was my job at risk (and therefore my very livelihood), but also a number of my personal choices for “my time” were simply unavailable. My previous occupation was, of all things, as a baker. I’d spent many years, over two (very different) locations, plying the trade and spending significant amounts of my time on the overnight shift, being a “vampire” to the rest of the world. It was the life I’d chosen, and I often told a great number of people that “the eight hours a day I spend there makes the other sixteen hours worthwhile.” It paid the bills, I met a few great people (and some not so great ones, like in any vocation), and it allowed me the time to do what I wanted, and become the person I believed, at the time, I wanted to become. I discovered performing, and pursued the craft of the stage. I once spent nine months doing six different plays (and when you realize the average play takes roughly eight weeks or more to get “up and running”, you can do the math and see how active and busy I was). I got paid for some of the shows, and did others as a labor of love, for I’d caught the bug of the spotlight, and I didn’t think there was any way I was ever going back. That is, until reality hit, and I was no longer able to reliably perform in that type of environment. A vehicle accident, and rehab, led to another doctor and another prognosis… and the end of my theatre “career”, as well as the end of the bakery one. Much of my life had been upended, forcibly, and I truly fell into a rather deep depression. Welcome to Act 2. I was lost for a good time. The friends I have now would tell you (and I would have to agree) that I shut myself off from the world for far too long. I’m not proud of it, but I felt (rightly or wrongly) that I just wasn’t the person I thought I was anymore, and didn’t have any idea of what I could be. Too much of my self-identity was wrapped up in both pride of work and the ego-boost I got from being a part of a show. As a result, even if there were places to turn, and people to turn to, I didn’t know what they were. I didn’t recognize them at all (and I likely made some of them go away as a result, and for that I’m truly sorry). But ultimately, a couple of things happened to change my outlook. I’d always been a television fan. That’s obvious from all the articles I’ve written on this site, and I’ve probably forgotten more than most have ever known about the medium. 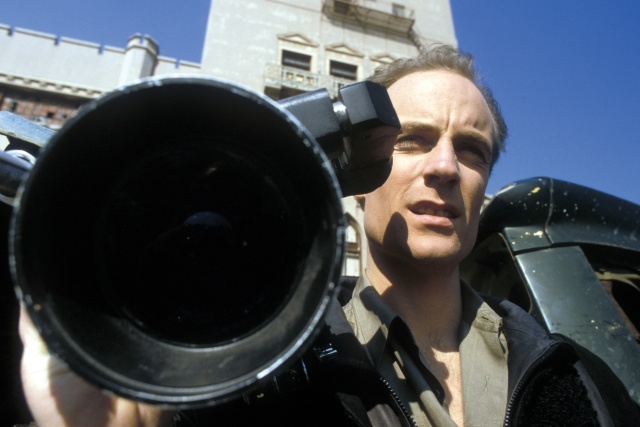 Working the “graveyard” shift allowed me to experience many of these shows firsthand, and the development of both the VCR and the DVR, and DVD sets (and their wonderful commentaries), gave me even more opportunities to develop my interest. It’s just been a passion, long before anything every happened to change my circumstances. While talking to a close relative, I threw out the idea of doing the blog as a creative outlet that was available now, when pure performing had been denied me. Her enthusiastic response (along with an offer to be my “editor”, and use her significant skills as well) led me to tentatively try out this strange idea. And, surprisingly, I enjoyed it tremendously. 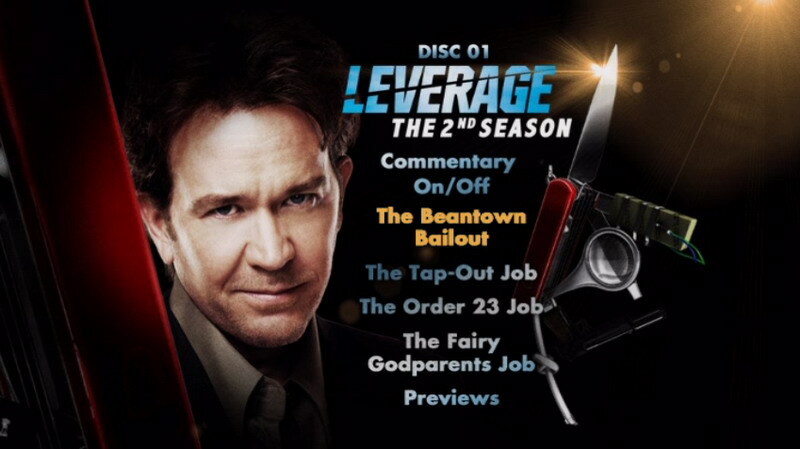 One of my favorite shows... and EVERY EPISODE has a commentary! Writing about all those shows of the past that so many of us grew up with was, at times, a window through my soul. Rather than just talk about premises and stars gone by, I developed the idea of commenting upon some idea or happening that related to life, to history, to television, to me. That’s what personally made Friday @ 8/7 Central more than just a website, and it has become a true haven for my thoughts and my memories. It has also become a way for me to better examine my own ideas, and to make certain that what I’ve thought in the past is actually what I believe, and what I put into action. Over the past (almost) two years, I’ve changed a lot, and this website has helped me to do so. I’ve rediscovered some things I’d forgotten, both in television and personally, and been surprised how certain ideas became more important in my life when seen through the prism of both TV and history. My work has, surprisingly, become a stellar part of my life, and no longer simply “the eight hours” anymore. While I’m certainly not rich by any means, I make more money than I did at the most recent bakery job, and work with some simply superb people I likely never would have met otherwise. I used to work all alone, six nights a week…. and now, later this week, I’m interacting with people halfway around the world, who want exposure to MY expertise in order to help do their jobs better. There was a time when I didn’t think anyone wanted to hear from me anymore. Now, most surprisingly, I can cover the globe, both in my work, and on this website. I won’t say it’s ALL because of the blog, but I’ve become much more cognizant of all this BECAUSE of this website, and the things it has led me to. Besides good friends, both at work and in the rest of my life, I’ve crystallized a couple of different ideas here that I use to help guide me in all areas. And while you’ve likely read them here before, I’m going to list a few. Making the Team: Yes, it’s the title of the article I did on Misfits of Science, but it’s more than that. It’s when I truly discovered that, even when I felt like someone who didn’t belong anymore, there was a place for me. I wasn’t sure where or when or how, but if El or Johnny B or Glo could find their family, then I could find mine. And, as luck would have it, I’ve found a few, thanks to various interests both old and new. But Misfits of Science, all these years later, still had a lesson to teach me, and thanks to this site, I learned it. Don’t trust blindly: In the article Just Under Over-the-Top, I wrote about the troubles of The Adventures of Brisco County Jr., and of how a badly designed “study” on television violence ended the run of a great, GREAT show. And then, the Max Headroom article (titled 20 Minutes Into… Today?) made me realize just how pervasive some of the media can be. Learning ANYTHING from just a single source is nothing more than giving up power over your own knowledge and opinions to that source, and their “facts” become yours, with no real examination in the process. That is giving up a part of my “self”, and if I’ve learned anything over the past couple of years, that’s something I never want to do, circumstances be damned. It’s MY life, and I’ll live it by MY rules, and not those “circumstances”. Religion and faith: Just go read about the highest rated show ever to get cancelled, Bridget Loves Bernie. There are far too many parallels to what is going on today in society, and while I really do believe in the idea of “faith”, the essential blindness created by established “religion” can jump off a cliff, as far as I’m concerned. I’ll get things right with me and my maker, thank you, and those tax-exempt excuses for fellowship aren’t necessary. I, and others like me, can find it for ourselves… and really should. 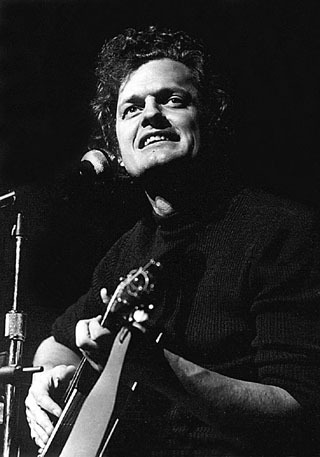 My own hero, Harry Chapin. Do something! There are lots of other examples I could list. Good Intentions (from Point Pleasant) made me examine why people do what they do, and the consequences that aren’t always intended. Make a Wish gave me a chance to tell others about my own personal hero, and his motto of “Do Something!” (which I have hopefully developed a bit more in my life). Jericho helped me realize people should fight for what they believe in, even to the ends of the earth (or the show)… and then beyond. Sunshine talked about dealing with death, Grapevine and Cupid showed how a second life could happen, and how love is eternal (no matter how we try to screw it up). And The Job was resurrected out of the ashes to become Rescue Me… and my life has hopefully learned all these lessons, or developed them more into something I could use in my own existence. Global Frequency showed me that there’s even life in something that doesn’t (officially) exist, and discovering both Connections and The Tommyverse led me to realize just how intertwined we all are… and how connected we all need to be. When done correctly, television connects us all. It teaches life, love, death, beginnings, endings, and beyond. It imagines past, future, and the immediacy of today, with a richness and vibrancy that no other medium can touch. And various programs never have to be successful to join in on those blessings, and that’s one of the reasons I celebrate all of those “long forgotten short-lived shows”. They have their own lessons, their own blessings, their own ideas to share, even if they weren’t massively popular at the time. That’s what they brought to my life, and that’s what I hope I’ve done here so far. Some have said the real life time slot of Friday 8/7 Central is “the Friday Night Death Slot”. There’s even a wikipedia page for it, and we can thank FOX and many others for the term. 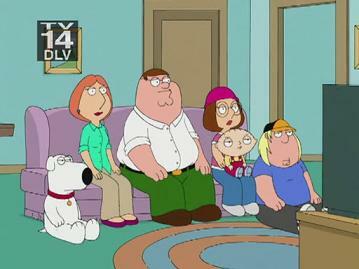 It even gets a running gag on Family Guy about how many shows on the network were cancelled between the show’s “death” and subsequent resurrection as a hit. I happen to think there might be more shows that died too soon, and which have something to offer. I hope to continue featuring them here. Writing the article on Good Heavens recently, I was struck with a bit of an epiphany. My life had become so much more than it was when I stared this project. The problem was, the project which had helped lead me to this place was now getting in the way, at times, with the rest of the blessings I was reaping. Something was going to have to give, if my new life was going to be what I was hoping it would. For that reason, I’m not going to stick to the previous schedule of this blog, and the standard “every Tuesday and Friday” publishing schedule. I’m going to continue writing articles, and they’ll be prefaced by promos, but they may not go up each and every week as they have in the past. I’ve got plenty of shows to cover, and ideas to examine… but doing it on a timetable as I’ve done in the past is making it more like “work”, and less of a labor of love. And I never want to stop this being something I love. I’ve said on numerous occasions here that “passion breeds creativity”. That’s still something I believe in VERY strongly, and the evidence is all around. But I have multiple passions, and thanks to where I find myself in my life these days, doors are open to things I never before dreamed of. But all that passion, creativity, and new opportunity takes time, and as a result, I may not be here as often as I was previously. But don’t worry, because the passion is still thriving, and still going strong, and there will be more memories and new lessons learned from what I watch and what I live. OK, so I stole this from a boardgame called "Roborally". But it still fits. It's me. It’s been a tremendous journey, and it’s hardly over. I’m just going to keep enjoying the ride, instead of sticking to the timetable. I want to savor every bit of it along the way, and I hope you’ll join me. …and come back soon for more on Friday @ 8/7 Central!!!! And thanks. I use the promos to give some background on each show, to prepare people to read about each week’s series… but there’s no way I could put enough information in here to explain this one. Even the show had troubles doing so… and maybe that’s why it didn’t succeed. Multiple flashbacks, with multiple dream sequences and characters with multiple alter-egos, and that’s just in the two versions of the pilot episode. We’d need an Oracle to understand it all… thankfully, we’ve got that too. It also caused her to go into the vigilante business like her legendary father…. If you can keep up, there’s a heck of a ride in here. Hunt this one down, this week on Friday @ 8/7 Central. Ever have one of those days (or weeks, or whatever) when things just seemed to fall into place? Positive vibes and unexpected opportunities present themselves in an unexpected way? It’s been like that for me lately, and it made me search out a rather unknown show that provided the same little “nudge” in the right direction. …you name it, he would give them an opportunity to find it. Whatever happened afterwards was a result of their own desires, actions, and dreams. And then, I turn off the set and find a way to make those dreams come true. A little-known show from many years ago, and although others have used the idea with some success, this is the most pure in form. Do a good deed for someone, and then reward yourself with a visit this week to Friday @ 8/7 Central. As they would say in the cartoons, it’s time to buckle those swashes and get ready for some derring-do. This show may not have been animated, but the action and adventure certainly was. In fact, there’s almost more entertainment than could packed into a regular show. And the hero of the piece? Well, he’s been a hero throughout his career… but maybe not a grade-A one. Here, there’s no longer any subtlety involved… and in this case, that’s a good thing. …an entertaining rogue if ever there was one. …a show which presented all types of things to all people, in the name of entertainment. A lively and fun show, existing for no other reason than to entertain, and a star whose work has always existed to do the same. There’s a little of everything to be found, this week on Friday @ 8/7 Central. When you’ve lost your way, sometimes it’s not so much where you’re going, as what you discover during your search. For five very different people, what they encounter is far beyond their normal lives, no matter where (or when) they originally came from. They’d like to get back home, of course, but until then, who knows what they’ll run into? …we’ve got a few good ideas, and we’re willing to both teach and learn from the future. Come join a trip to the unknown, where the journey is much more important than the destination. Departure will be on this Friday @ 8/7 Central. January is a time of fresh starts and new beginnings, for seeing old things in a new light, and for giving voice to those who would change what has gone before. This is especially true for some (then) fresh-faced college grads with different ideas on how to approach an old medium, and how (with a little help from one old radical) their ideas made it on the air. 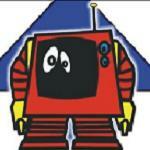 In doing so, they changed television for kids (and adults) in this country forever. …a book which, not surprisingly, very few usual Saturday morning viewers were familiar with. This one was reactionary. Which means it was also pretty good, and it led to other work which has won Oscars and Emmys. A whole generation likely owes its modern entertainment to some of these people, and you can read about them this week on Friday @ 8/7 Central.